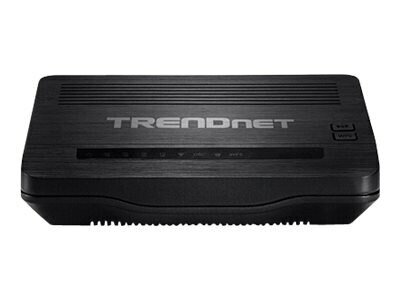 TRENDnet’s N300 Wireless ADSL 2+ Modem Router, model TEW-722BRM, is a combination of hig performance modem for Internet access and powerful wireless N300 router - well suited for medium to large size homes. The modem is compatible with most ADSL Internet service provider networks and it has an intuitive guided setup wizard. For your convenience the wireless network is setup and pre-encrypted out of the box.